Court documents show Spence had a hit list with at least 5 people on it, all of which he was involved in a domestic relationship with. GREENSBORO, N.C. -- We're learning more about a heavily armed man arrested on Smith High School campus in Greensboro Monday afternoon. Police arrested Steve Spence by the tennis courts at Smith High School after he went to the school's cafeteria through the open courtyard and pulled out two hand guns. Police found he had several magazines and a backpack of bullets with him. They also say he had a long gun in the stolen car he parked by the school. Court documents show Spence had a hit list with at least 5 people on it, all of which he was involved in a domestic relationship with. The documents say he had a clear written plan of action to carry out his crime and escape. A copy of the hand-written hit list shows steps to get weapons and kill various specified people in different cities and states. It even details "rest" time between going to Smith High School and traveling to Maryland. Court documents say Spence went to Smith High School with the intent to kill two staff members. When he arrived on campus around 12:40 p.m., police say Spence walked into the cafeteria. We're told he was immediately confronted and questioned by a school staff member who then ordered the school to be put on lockdown after Spence pulled out a handgun. Greensboro Police Chief Wayne Scott says Smith High's School Resource Officer (SRO) D.K. Evans responded in less than a minute. 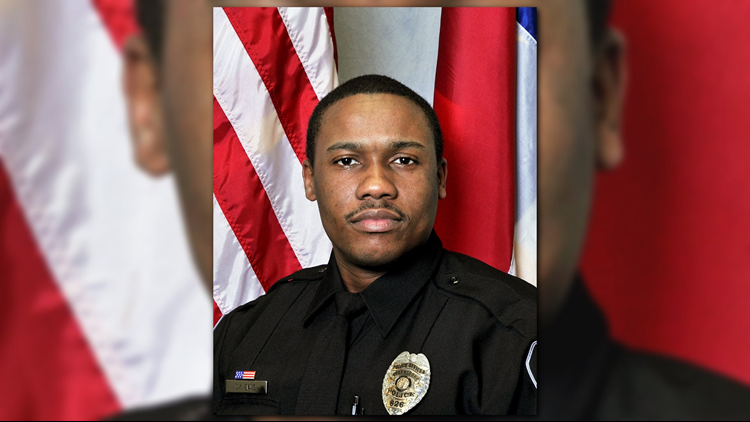 When Officer Evans confronted the suspect, Spence pulled out another gun and took off running. Spence was arrested after a brief foot chase by the SRO and other Greensboro officers who had at that point responded to the scene. Police say he stole a car from a person he knew in Virginia after he was involved in a felony assault there Monday morning. Court documents say Spence is wanted in Virginia for "brutally beating his current girlfriend." Spence appeared in court Tuesday afternoon.